Extreme GreenWaste & Odour Treatment is a non toxic, stable fermentation based product containing special bio-degradable and environmentally responsible surfactants that utilise naturally occurring compounds which in turn, stimulate microbiological activity to reduce sludge and odour build up in septic systems, long drop toilets, holding ponds, grease traps and other areas where build ups are causing odours. Extreme Green Waste & Odour Treatment, when used as directed, revitalises the system as it destroys odours. 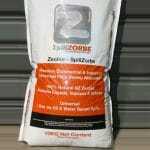 Helps break down and prevent sludge build-ups and eliminates odours. Extreme Green Waste & Odour Treatment is ideal for use as a general purpose cleaner for walls, floors animal enclosures and other areas that can become soiled. It can also be sprayed over compost and manure to accelerate decomposition. Extreme Green Waste & Odour Treatment may be used to wash down benches, floors, walls, range hoods etc to reduce odours in the immediate area. As the residues flow down drains, Extreme Green Waste & Odour Treatment continues to accelerate microbiological activity to help keep grease traps sludge-free, saving on expensive clean outs. 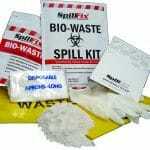 Extreme Green Waste & Odour Treatment is used in areas where large amounts of animal fats and oils have accumulated and subsequent odours have occurred as well as in holding ponds. Extreme Green Waste & Odour Treatment can be used to safely eliminate waste odours in and from garbage disposal vehicles and units. Extreme Green Waste & Odour Treatment is an environmentally responsible product and is very effective at eliminating odours and reducing sludge build-up. Extreme Green Waste & Odour Treatment can be applied using a spray, pressure washer, broom or mop. Effluent Ponds: Use 8 litres of Extreme Green Waste & Odour Treatment per acre. Apply twice weekly for first 2 weeks; thereafter apply once per week. 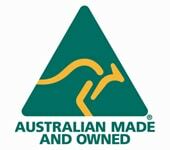 General Cleaning: Dilute at a rate of 1:100 with water for general purpose cleaning and at 1:25 for heavy duty cleaning. If a perfumed product is preferred (e.g. 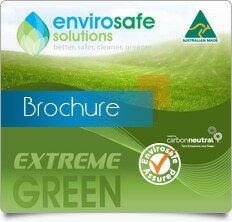 in accommodation areas), Envirosafe Solutions recommend using Extreme Green Heavy Duty Cleaner Deodoriser.